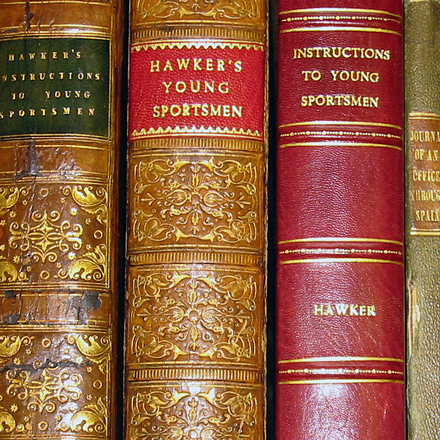 We are eager to purchase books on country sports, guns, angling, natural history and travel interest, singly or whole collections. If you are considering selling books on these or similar subjects please contact us for immediate appraisal. We buy in all price ranges: Antiquarian and Modern. We are happy to travel anywhere in the UK and Republic of Ireland for large collections. We also undertake valuations for probate and insurance.